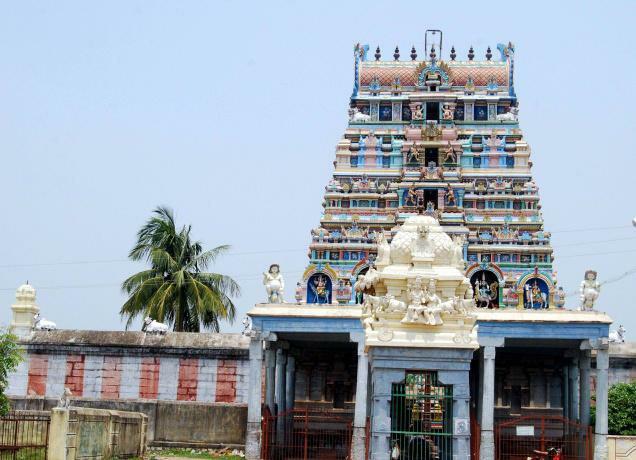 Rishivandiyam is known for the Ardhanareeswara Temple (Swayambu). Once it was a dark, dense forest ideal for performing penance by saints (Rishis). Rishi vandha vanam has become Rishivanam and Rishivandiyam. Saint Agasthia was given dharshan of the holy wedding of Lord Shiva as Ardhanari (half Shiva and half Parvathi) on the holy Linga when he performed abishekam with honey. Lord Indra, Lord Rama and many Rishis have visited this holy place. The present day temple was built in 1282 AD by Jatavarman Sundarapandiyan. 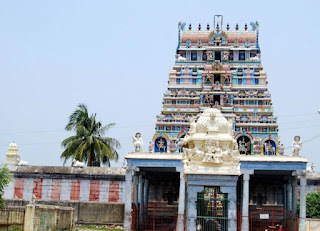 The temple is classified as Siddhar temple. Renovation works were completed and Mahakumbabishekam was performed in January 2007. It is a Divine rule that all the Rishis should gather at this temple on the Rishi Panchami day. This day is celebrated by offering Argyam to all the Rishis and Saints. Rishivandiyam: a town in Tamil Nadu, India. This place is nearby villupuram and thirukovilur. Buses are available from thirukovilur but few.